+ Landlord's responsibilities for a gas connected property? As a Landlord you are responsible for the safety of your tenants. Gas Safety regulations; 1998 provide full details of duties which must be carried out to ensure gas appliances, fittings and flues provided for tenants are safe for use and purpose. This Includes appliances that are within any communal area which tenants are permitted to use. The Landlord is responsible for arranging the maintenance and repair of all provided flues, appliances and pipework, and to ensure these are carried out by a gas safe registered engineer. You are also required to ensure an annual gas safety check is carried out within 10 to 12 months of a new appliance installation or flue. Records of these safety checks must be kept for a minimum on 2 years and these must be issued to existing tenants within 28 days of completion. Copies are to be issued to new tenants prior to them occupying the property. + Are Letting Agents responsible for maintenance & Safety checks? If you decide to use a property management service, make sure your contract clearly identifies who is responsible for making arrangements for maintenance and safety checks. The HSE strongly advise that you, as a Landlord, receive reports for any works and checks carried out on your property. This is to ensure all maintenance and safety services are completed, enabling you to fulfill your legal obligations as a Landlord. 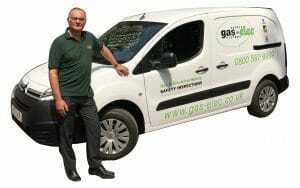 + Can my Tenants be responsible for the gas safety of the property? in a non-residential part of the premises, for example a shop or public house. + Can a room containing a gas appliance be used as a bedroom? Any room converted to use as sleeping accommodation should not hold a gas fire, gas space heater or gas water heater (over 14 kilowatts) unless room sealed. If the mentioned appliances are below 14 kilowatts they must be either room sealed, or have an atmosphere sensing device. If a room contains one or more of these appliances, and has been used as a bedroom prior to 1998, a risk assessment must be carried out to determine whether it can still be used as a bedroom. + What happens if faults are found on annual gas safety inspections? Gas safety checks are carried out by Gas Safety Registered engineers, and issued upon completion without delay and regardless of whether a defect has been detected. Landlords are responsible to add records of any follow up actions required, completing a full history on the property for gas safety.